In recent months, the possibility of an independent Catalan Republic has been rapidly materialising. The election of a separatist coalition by a slim 51.7% majority on September 27th was shortly followed by the passing of a resolution on October 27th, by the regional parliament, which declared “Un Estat Català Independent”, essentially declaring Catalonia a sovereign state. Growing political salience for independence has pushed political parties to form a majority coalition in the regional parliament called Junts pel Sí, or ‘Together for Yes’, which now claims it has the electoral mandate for secession. However, although separatists won a majority of seats, they did not receive a majority of the popular vote. Due to the way constituencies are divided, just under half of the electorate actually voted for the pro-independence coalition. In light of these developments, Spanish president Mariano Rajoy maintains that “Catalonia is not going anywhere, nothing is going to break”. 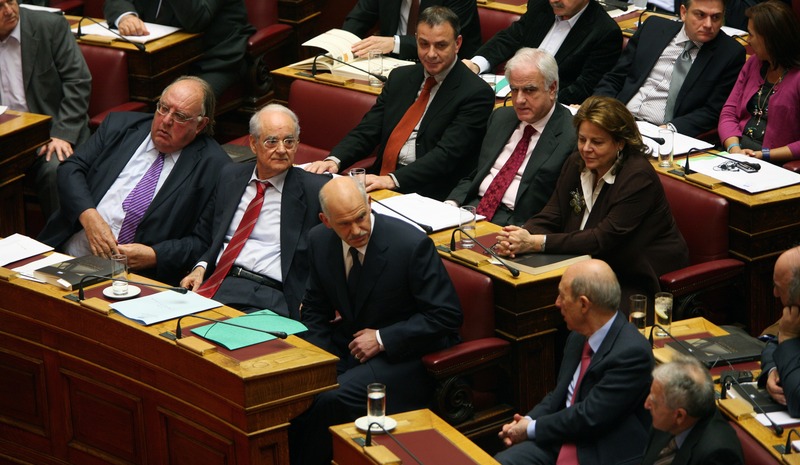 In fact, the independence resolution was immediately followed by an extraordinary meeting of the Spanish Council of Ministers, which approved an appeal to the Constitutional Court for the nullification of Catalonia’s parliamentary ruling. In its report, the advisory body suggested that “there is sufficient legal basis” to challenge the claim before the Constitutional Court since it “disregards the core of the Spanish Constitution by declaring disobedience to the sovereign Spanish state”. 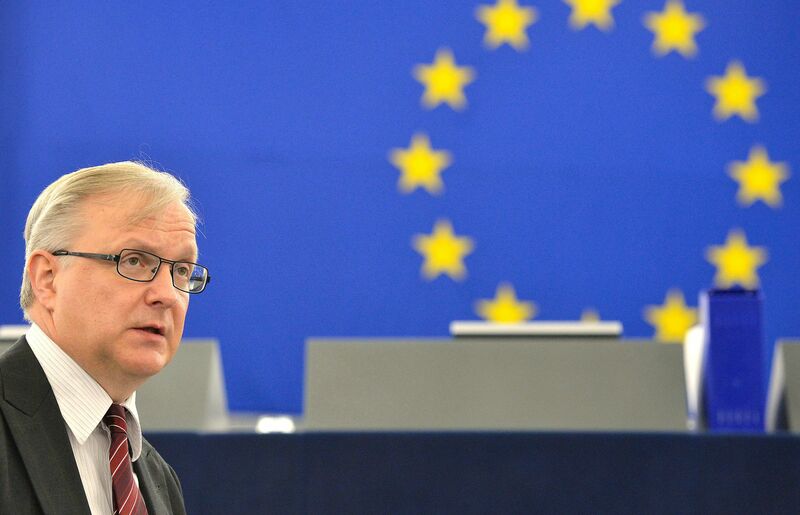 Whilst such quarrel between regional Catalan and federal institutions has not been infrequent in the past, the pressure for independence has been rapidly escalating in the midst of national elections. This rising tension is difficult to ignore when walking the eclectic streets of Barcelona. A couple of days ago, a middle-aged man who was standing with a separatist flag in front of the Town hall told me that an independent Catalonia had been the dreams of his father, grandfather and great-grandfather, but that it would now be him, his children and grandchildren who would finally see it happen. When did this zeal for separatism actually begin? And why? Well, the Catalan separatist movement can be traced back to the creation of the Estat Català revolutionary movement in 1922. Historically, Catalonia has always been a notorious critic of unitary and monarchical power, advocating for greater regional autonomy and a Republican nation-state. When a Second Spanish Republic was attempted in 1931, the independence movement died down with the creation of the self-administrative ‘Generalitat de Cataluña’, still under Spanish authority, but enjoying unprecedented levels of self-rule. In fact, when the Civil War erupted, following Franco’s coup in July 1936, Catalonia was actually one of the strongholds in defense of the Spanish state. As described by George Orwell, who fought in Barcelona, the ‘Generalitat’ in 1937 was a place of “no boss-class, no menial class, no beggars, no prostitutes, no lawyers and no priests”. Today, Catalonia remains disconnected with some of the most traditional Spanish values in its commitment to progressive politics. Such cultural differences are mirrored in their use of the ‘Catalan’ as the official regional language, instead of Spain’s ‘Castellano’. Having won the conflict, Franco immediately reinforced national unity, thus curtailing the region’s autonomy. Under the dictatorship, separatist movements were silenced, but Catalonia remained tacitly critical. In 1975, after Franco’s death, the proclamation of a constitutional monarchy rather than a republic sparked a revival of the independence movement, which continues to this day. Recently, ‘Junts Pel Si ’ has been arguing for independence so that Catalonia is no longer required to provide funding for other regions as part of the fiscal redistributive policies imposed by the Spanish government. In keeping all tax revenues to itself, the Generalitat would enjoy a larger budget for infrastructure, education, and healthcare, estimated between 5% and 9% of GDP. 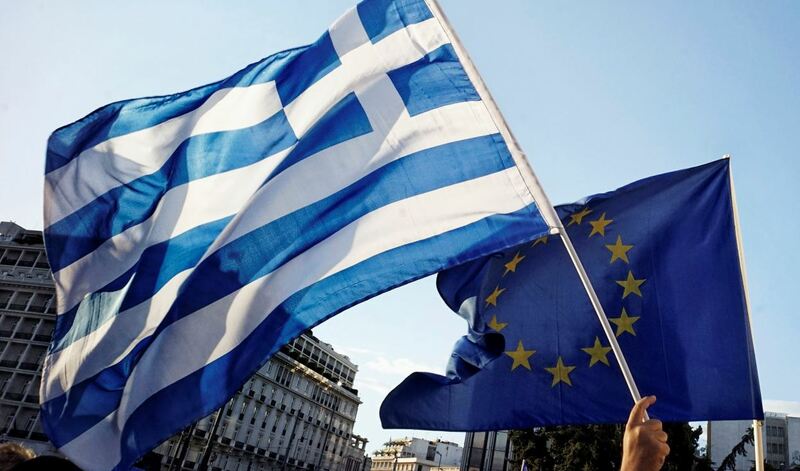 As such, the past seven years of fiscal austerity have intensified the population’s eagerness to secede, demanding a different recipe for economic growth. On the other hand, being a part of Spain allows it to export local products such as its ‘Cava’, a form of sparkling wine, anywhere in Spain and in the EU. Catalonia greatly benefits from Spain’s membership to the European Union, which offers low export costs, consistent tourism, and infrastructure funding to the region. As a result, the economic argument for independence is entirely dependent on Catalonia’s ability to negotiate favourable relations with the Spanish state and the EU on a bilateral basis if it becomes a sovereign state. Such issues are reminiscent of similar conflicts in Scotland, which faced many of the same debates over the last few years. Indeed, while EU accession laws may grant temporary membership to a seceding territory, any new member must be unanimously vetted by all member states, including Spain, which puts separatists in an awkward bargaining position. Beside the long-term explanations for Catalan independence, it appears that the recent escalation in separatism has been catalysed by an ongoing democratic crisis in Spain, and Europe in a wider context. Indeed, for the past ten years, the Spanish political landscape has been plagued with corruption scandals of illicit party funding, such as the infamous ‘Bárcenas affair’, tax evasion scandals, and abuses of executive legal immunity provisions. The Monarchy has also been engulfed by scandals as Spain’s former King Juan Carlos I engaged in elephant hunting in Botswana, as well as the ‘Urdangarín affair’, which found him accused of embezzling large sums of public money. If the general lack of transparency, rule of law and accountability of public officials has resulted in great dissatisfaction for the general electorate, this has been exacerbated even further for Catalans. This democratic crisis can be statistically illustrated by a Transparency International report, which found that 74% Spaniards felt that their government’s efforts to fight corruption are ineffective. An even higher percentage of people felt that from 2007-2010, the level of corruption in the country had actually increased. According to the independent NGO, the most corrupt institution in Spain are the political parties. The mistrust of established political parties has created an electoral vacuum in Spain, which rapidly gave rise to newer parties such as the socialist and anti-austerity Podemos, and the mostly neo-liberal Ciudadanos. Both parties call for profound political reform, and stand to the respective political left and right of the two largest parties, PSOE and PP. The rise of new parties, coupled with general mistrust of institutions in Spain, have produced largely fragmented results in the national elections held in December 2015, crippling the ability of any party to form a coalition government. In fact, many in Spain now believe there will a re-run of the elections, and a large portion of the electorate seems to be calling for political change. In Catalonia, this surely means the independence movement will continue pushing forward until serious political reform is achieved. Those were the words used by Denis Krivosheev, Amnesty International’s Deputy Director for Europe and Central Asia, to state his concern for the wellbeing of Crimean Tatars – and compliance with their rights and liberties – as Russian authorities abruptly shut down their media outlets. The formal annexation of the Black Sea peninsula, with the signing of a treaty between Crimea and Russia at the Kremlin on March 18th, sparked global controversy in 2014. NATO, as well as numerous prominent world leaders, condemned Russia for their conduct during the conflict that was dubbed the ‘Crimean Crisis’. Besides their disputed unconstitutional referendum, which was held to manifest Crimea’s supposed desire to join the Federation, the Russians also used persistent military intervention in order to seize control over the Ukrainian territory. 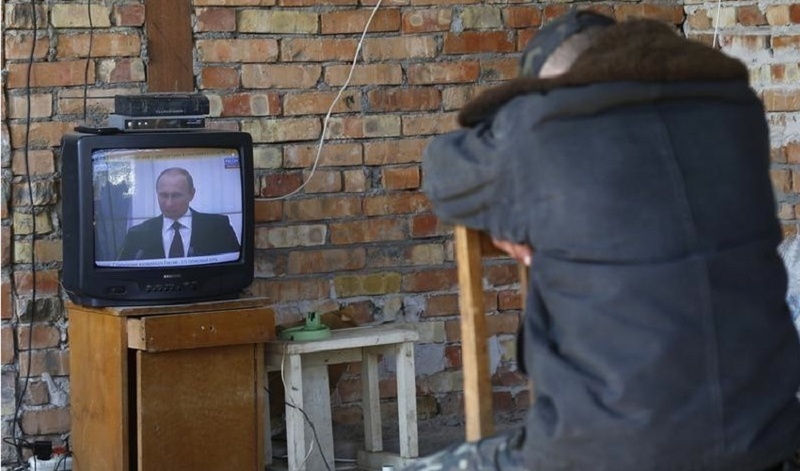 Crimean Tatars, now subjected to Russian legislature, have no choice but to comply to Russia’s demands that media outlets in the region must obtain a new broadcasting license. Whilst Russian-speaking media channels met the requirements with ease, newspapers and TV channels that broadcast in Crimean – a Turkic language spoken by the Tatars – were denied their permits and forced to shut down their services. Only a single Crimean Tatar medium, the newspaper Yeni Dünya, successfully applied for their broadcasting permit. All other Tatar media have been indiscriminately rejected by the Russian authorities, often without a specified reason. In some cases, applicants were turned down multiple times or even plainly ignored. Such was the case with Crimean Tatar-language television channel ATR. Their efforts of registering under Russian legislation were arbitrarily denied three times, whereas their fourth application did not even earn a response. “They can shut down the channel, but they can never curb the desire of the Crimean Tatar nation for truth and freedom” declared Ukrainian President Petro Poroshenko on Twitter, strongly condemning the move against ATR. And, just like that, an entire community was rendered speechless. By essentially turning Crimean Tatar journalism into a criminal offense, Russia is depriving this ethnic minority of their freedom of expression, and possibly much more. This is not the first time Amnesty International raised concerns for the wellbeing of Crimean Tatars. In May 2014, shortly after the Crimean peninsula was annexed, they had already predicted that the community would be at the risk of persecution and harassment under Russian rule. “Despite assurances made by the de facto Crimean authorities to protect the rights of Tatars, since the annexation of the peninsula by Russia in March this year, the Tatar community has faced increasing violence and discrimination” said John Dalhuisen, Amnesty International’s Europe and Central Asia Programme Director. 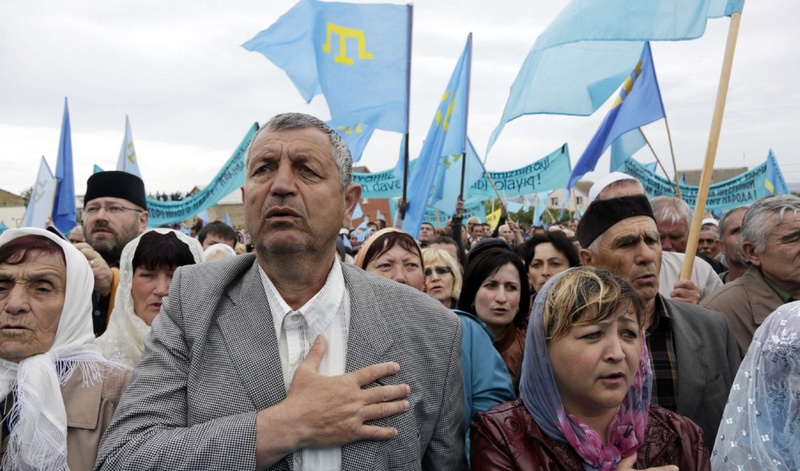 Furthermore, Dalhuisen states that Crimean Tatars are being pressured into renouncing their Ukrainian citizenship in order to be granted a Russian one, with the only alternative to be doomed as stateless ‘foreigners’ in their own homeland. This unenviable scenario has already pushed thousands of Tatars to flee Crimea, as their outlook at home is far from reassuring. Given the history of the two nations in conflict, these concerns are certainly not out of place. During the Second World War, Stalin commanded atrocious acts of ethnic cleansing against Crimean Tatars, forcefully deporting their entire population – nearly a quarter million at the time – to remote parts of the Soviet Union such as the Uzbek SSR. During the journey, almost half of them died from starvation and disease, and it was not until 1989, during Perestroika, that the Tatars were allowed to return to their homeland. 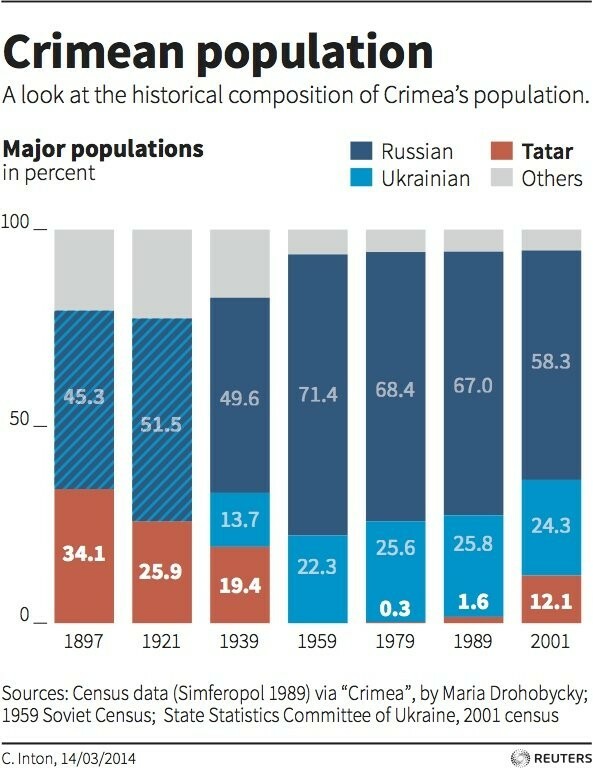 Nowadays, after decades of oppression from Soviets and Russians, only one tenth of the original population remains. Only time will tell how the future of Crimean Tatars unfolds, but the political setting in Russia provides a valid reason to remain sceptical. United Russia, the ruling party of Prime Minister Dmitry Medvedev and President Vladimir Putin, is as conservative as it is statist, and embodies a whopping 238 out of the 450 seats of Russia’s State Duma. This represents a vast amount power, one which is not expected to fade anytime soon. President Obama made true his promise to congress that he would veto the Keystone XL Pipeline bill should it come across his desk. The president stated that “through this bill, the United States Congress attempts to circumvent longstanding and proven processes for determining whether or not building and operating a cross-border pipeline serves the national interest”. Elizabeth Warren, Senator of Massachusetts for the Democrats, questioned why the Keystone bill was the number one priority on the agenda for the new 2015 GOP congress and which interests were really being served. Based on research done by Politico and by Burdett Loomis, a political scientist at the University of Kansas, Warren argued that the Keystone XL Pipeline bill was simply a “lobbyist support act”. 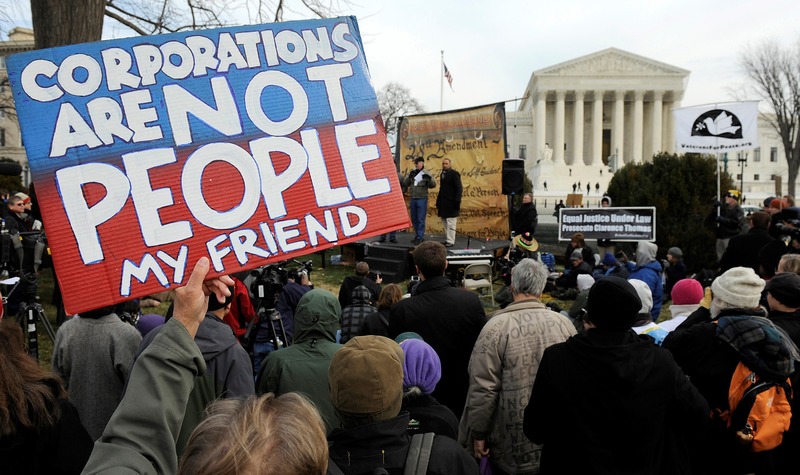 In other words, it would disenfranchise anyone who is not connected to an oil plutocrat. 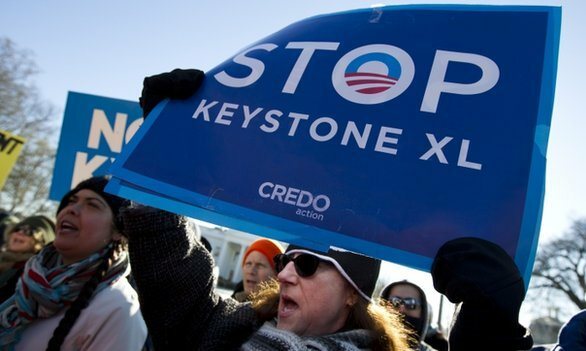 “It just won’t do much to help the American people,” said Warren, “but it is worth a whole lot to the Canadian oil industry.” As a matter of fact, TransCanada has spent more than $7 million dollars in lobbying expenses alone related to the Keystone since 2009. Obama’s concern that the pipeline would not serve the national interest is right on the money. 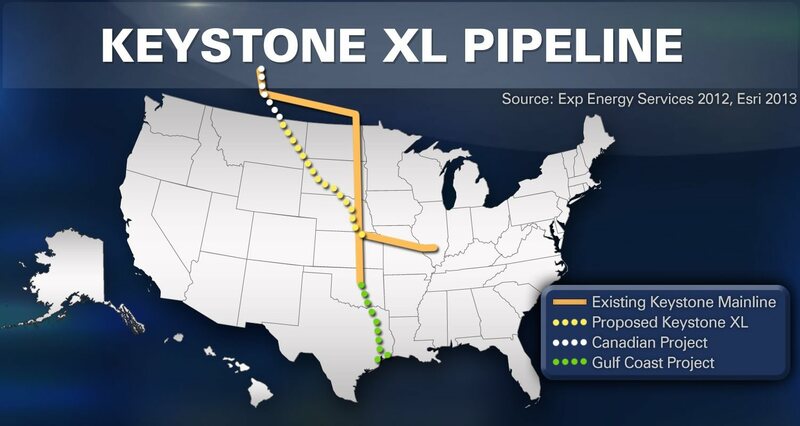 The bill would have allowed TransCanada Corp. to deliver its product through the Keystone XL Pipeline to the Gulf of Mexico, which is a tax-exempt area. The oil would then most likely be exported overseas, not benefitting America’s energy costs or contributing directly to American cleanup funds. As Tom Mulcair, Leader of the New Democratic Party of Canada puts it, “the Canadian dollar is being held artificially higher [by the demand for oil], which is fine if you’re going to Walt Disney World, not so good if you want to sell your manufacturing product.” This problem of an inflated currency is a symptom of a larger problem in economics called the Dutch Disease. Economists coined the term in the 70s to describe how the Netherlands ruined their manufacturing sector in the late 50s by heavily exporting natural gas. In such scenarios, a booming natural resource sector drives up the exchange rate, thus making it more difficult for other countries to afford the relative cost of their exported products. The manufacturing and agricultural sectors, in essence, are hollowed out by the pull of the resource boom, and, in turn, the economy’s driving force ends up being a basket with too many eggs. Canada’s economy is not diversified enough, which means it may struggle to be competitive in world markets once it can no longer rely on oil exports. Currently, there is a pipe factory in Camrose, Canada, which sits right across the street from the pipes installed for the Keystone XL pipeline. Yet, those pipes were made in China. Gil McGowan, president of Alberta Federation of Labour indicated that “Canada’s own manufacturing sector cannot compete to support it’s own industry”, and that they now have “18,500 fewer manufacturing jobs, here in Alberta […] than we did 10 years ago”. When a nation mostly exports oil and relies on imports for manufacturing and agriculture, it is essentially exporting jobs. For that matter, Canada will lose much more in manufacturing and other sectors than it could gain in the oil sands. Simply put, a shift in Canada’s economy to the extraction of non-renewable resources is not sustainable in the long-term. Despite its apparent downsides, Republicans have repeatedly argued that the Keystone XL Pipeline project would create thousands of American jobs in the energy and construction sectors – boosting opportunity for growth in coming years. With regards to the Dutch Disease, Dylan Jones, President and CEO of Canada West Foundation, did make some interesting counter-arguments. He pointed out that although the Canadian manufacturing sector “dropped 23%”, from 2002 to 2011, the exact same thing happened in the United States, a country that is not a key petroleum exporter. He argues that the manufacturing in both countries has been reduced not because of the oil industry, but because of “low cost competition from China, Vietnam, Indonesia, and other countries” and “lower global demand in the developed world for stuff, caused by financial and economic crises and an aging population”. The National Post also drew attention to this by saying that the bulk of Canada’s currency gains were made in 2007 when it shot up 27% against America’s dollar, but it only made up about half of that against the Euro. This was against the backdrop of America’s biggest financial disaster since the great depression. The Institute of Research and Public Policy in Canada realizes this, but still concedes that there was a real output problem in the textiles and leather products industries in central Canada, and that the transportation and food sectors experienced a smaller effect of Dutch Disease. The Keystone XL Pipeline consigns Canadians to an industry here today, gone tomorrow. This is a palliative for a larger problem: we are all energy junkies. On January 19th, 2015, the Bridger Pipeline Co. spilled up to 50,000 gallons of oil into the Yellowstone River. Although more will need to be investigated, this is clear proof that environmental disasters are always a possibility, and they will happen time and time again. Regarding the Keystone Pipeline: water pollution, carbon emissions, potential oil spills, and site remediation issues are still substantial concerns which remain to be concluded. As President Obama put forth, the bill “cuts short thorough consideration of issues that could bear on [America’s] national interest – including our security, safety, and environment”. The world, not just North America, needs to invest in clean, safe, and renewable energy. We need energy that does not pollute or distract from the vitality of the economy. Naturally, this cannot happen overnight, but it definitely will not start with a pipeline from Canada either.